On 22 March, the US announced a fresh round of sanctions against Iran targeting 14 individuals and 17 entities linked to Iran’s defence research organisation, SPND. Washington accused Tehran of keeping key nuclear scientists together so they can build nuclear weapons, categorising SPND as ‘the bureaucratic survivor and inheritor of [Iran’s] nuclear weapons program’. Given that the US had already reinstated all sanctions against Iran that were waived under the 2015 Joint Comprehensive Plan of Action (JCPOA), the latest move by the White House appears designed to focus the narrative about Iran on allegations that it retains ambitions to develop nuclear weapons. The new sanctions stand in stark contrast to America’s treatment of North Korea. On the same day as the Iran announcement, President Donald Trump also said that he had decided against imposing new large-scale sanctions on Pyongyang. 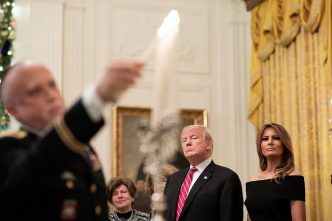 The new round of Iran sanctions is also noteworthy because it targets individuals for their involvement in research relevant to nuclear weapons before 2004. 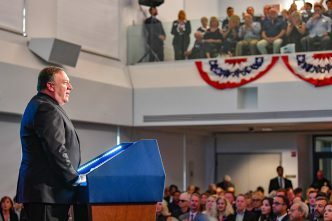 The substance of Washington’s position is that, even if SPND isn’t currently working to develop nuclear weapons, its connections—in terms of personnel and technical knowledge—to Iran’s pre-2004 work increases the risk that Iran will develop weapons of mass destruction. This is a long bow for Washington to draw, for several reasons, and appears to demonstrate that many of the lessons from the Iraq WMD fiasco appear lost on the current US administration. First, Washington’s insistence on doubling down on its claim that Iran can’t be trusted on the question of its nuclear weapons ambitions stands at odds with not only the evidence available to the International Atomic Energy Agency, but also the US’s own assessment. The IAEA’s February 2019 report to its board of governors has again reaffirmed that verification and monitoring of Iran’s nuclear-related activities and facilities has continued unimpeded. The agency says it has also ‘conducted complementary accesses under the Additional Protocol to all the sites and locations in Iran which it needed to visit’ and has found no evidence that Iran is not in full compliance with the JCPOA and its safeguards obligations. The US State Department has also consistently given Iran’s compliance with its international nuclear obligations a tick of approval over the life of the JCPOA. The department’s 2018 compliance report on arms control agreements concluded that Iran ‘has not taken any action during the reporting period, including covert activities, that could significantly advance an Iranian nuclear weapons program’. 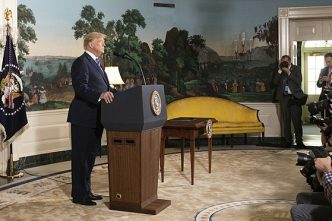 Importantly, given Washington’s current preoccupation with sanctions, the report also concluded that ‘the sanctions relief provided in connection with the JCPOA is appropriate and proportionate to the specific nuclear measures undertaken by Iran and vital to the national security interests of the United States’. Second, Washington is wrong to emphasise the contemporary significance of the document archive on Iran’s pre-2004 nuclear-weapons activity that was obtained by Israel in 2018 and which appears to have informed the detail of the current round of sanctions. In April 2018, Israeli Prime Minister Benjamin Netanyahu announced Israel’s acquisition of tens of thousands of documents from a secret Iranian archive on Iran’s pre-2004 nuclear-weapons program. There has, however, been significant debate on its current relevance. Some commentators have claimed that the archive indicates that Iran might still be in breach of its nuclear non-proliferation undertakings and that it merely reoriented its pre-2004 work into a more disguised, smaller, nuclear-weapons program. Others assess that the archive contains no new revelations about where Iran was up to with its pre-2004 nuclear weapons program. Nevertheless, the archive clearly provides the context for the most recent round of Iran sanctions, which directly targets entities identified in it. Israel has passed much of the archive to the IAEA, which is likely already using it to help shape its monitoring and verification agenda, including unannounced inspections of new locations that the IAEA can undertake under the terms of the Additional Protocol. If any inspections reveal evidence of breaches of Iran’s safeguard obligations or the JCPOA, the IAEA will report this to its board of governors. Washington claims that it is using sanctions to force Iran back to the negotiating table. But given that Tehran has repeatedly stated that renegotiation isn’t an option and that there are no alternatives to the JCPOA, the US appears determined to set it up to fail. Washington’s use of the archive to argue that Iran can’t be trusted to uphold its end of the JCPOA echoes claims made on Iraq’s nuclear program in 2002. Washington’s use of sanctions to punish Iran without proving transgressions also undermines the efficacy of the international nuclear non-proliferation regime. 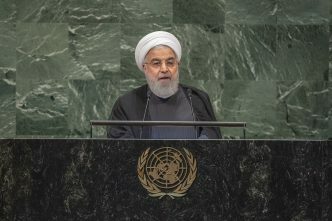 The fact that Iran has continued to cooperate with the IAEA under the terms of the JCPOA while also being subjected to renewed US sanctions also sits at odds with Washington’s overarching and increasingly strident narrative that Iran is a destructive and destabilising force in the Middle East and is undermining global security. 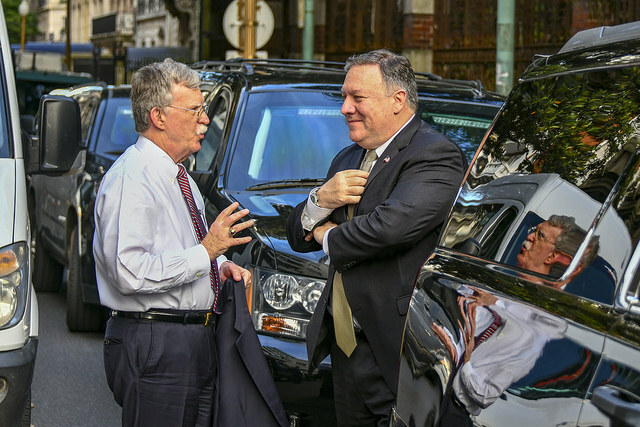 Key US decisionmakers, including Secretary of State Mike Pompeo and National Security Advisor John Bolton, have made clear their support for regime change in Tehran and their disinterest in rapprochement with Iran. 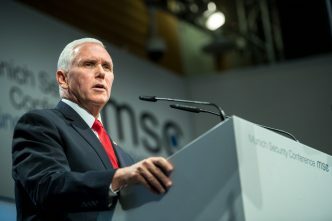 Given that the JCPOA continues to provide a constructive and peaceful way of addressing latent concerns about Iran’s past or potential nuclear-weapons ambitions, it is increasingly likely that the agreement—along with the broader international nuclear non-proliferation regime—will end up as collateral damage in Washington’s grand plan to remake the Middle East. Connor Dilleen has worked for the Department of Foreign Affairs and Trade and the Office of National Assessments. Image courtesy of the US Department of State.